Abstract : LDH, one of the earliest marker still being used along with troponins in the diagnosis of acute myocardial infarction is now emerging as an important marker in a wide range of cancers. Recently LDH and its isoenzymes have been extensively studied in the detection and its prognostic role in common tumors such as colorectal, breast, ovarian, prostate, liver and various other metastases. LDH levels have been correlated with CEA, CA 15.3, CA 125,CA19.9 and Hodgkin’s lymphomas. Further, isoenzymes of LDH are being studied extensively and each isoenzyme was found to be specific for a particular cancer. LDH has been linked to intracellular enzymes through damaged cells in apotoposis and deregulation. Studies suggest that inhibiting LDH activity may lead to possible anticancer treatment. 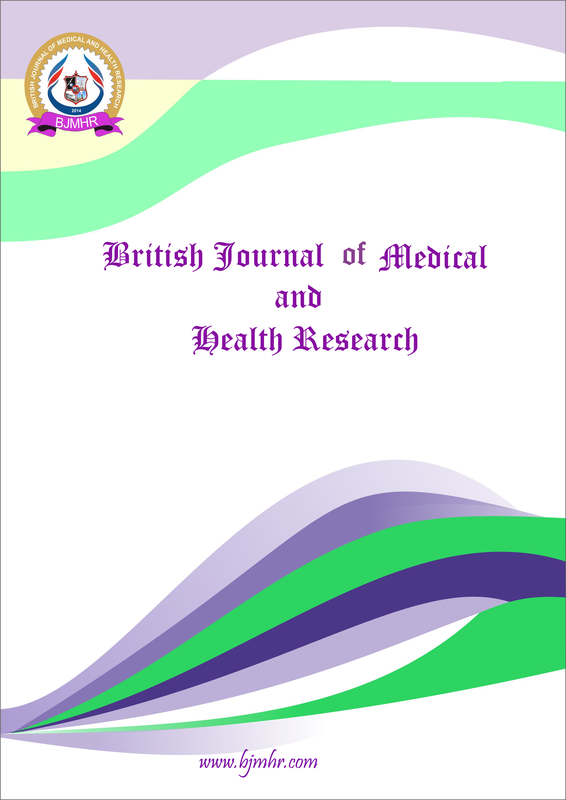 The objective of this review article is to present the outcome of various research findings during the last two decades and to make awareness among research scholars to undertake further research to establish the exact clinical role of LDH in each type of cancer. Abstract : Chronic obstructive pulmonary disease (COPD) is a disease of the respiratory system characterised by extra pulmonary manifestations that includes nutritional depletion, which is known to have negative consequences on morbidity and mortality. Chronic malnutrition results in reduced lung and respiratory muscle function secondary to loss of lean body mass, multiple nutrient deficiencies and cachexia when chronic in nature. A literature review was performed on the prevalence and trend of malnutrition, reported in COPD patients. Increased resting energy expenditure, thermic response to food, early satiety, increased pro inflammatory cytokines are known to lead to loss of appetite, weight loss and cachexia on a long term. Under nutrition among various study populations is reported between 20-70% and cachexia in 27-33% of subjects with COPD. Malnourished individuals are exposed to higher risk of mortality, morbidity and poor prognosis by the reduced pulmonary function and risk of infections due to the loss of fat free mass, skeletal muscle strength, lower immune function secondary to malnutrition. Pre-existing oxidative stress can be further worsened by deficits in micronutrient intakes. Anthropometric assessment including fat free mass is important in evaluating nutritional depletion as some COPD patients may lose fat free mass without any alterations in fat mass. Thus, COPD patients can suffer from malnutrition, further aggravated by the severity of symptoms, biochemical alterations and severity of disease. Further, undernutrition can negatively affect the prognosis necessitating a thorough assessment of body composition along with somatic status among patients losing weight and those with a history of weight loss. Keyword : Cachexia, Fat free mass, Malnutrition, Nutritional depletion, Oxidative stress. Abstract : Thyroid uptake and scintigraphy at 20 minutes of intravenously administered 99mTc sodium pertechnetate were studied on 50 euthyroid and healthy Bangladeshi individuals. The aim of this study was to standardize a simple and fast methodology for performing thyroid uptake and scintigraphy and to determine the euthyroidism range for 99mTc pertechnetate uptake. The laboratory assessment of thyroid function consisted of serum dosages of ultrasensitive thyroxin and thyrotropin. The images were obtained on a computerized scintillation camera equipped with a low-energy high-resolution parallel-hole collimator. The present study observed that the assessment of thyroid structure and function using 99mTc-pertechnetate is a simple, fast and efficient method. The observed thyroid uptake range for euthyroid individuals are from 2.1 to 4.1% of the injected dose. Keyword : Thyroid uptake; Scintigraphy; 99mTc-pertechnetate; Standardization; Euthyroidism. Abstract : Abstract Introduction Until 5 years of age, the kids have physiological flat-feet. It’s from a great sign if I can to conduct a prophylaxis starting from young age continuing throughout the entire life. Purpose: To research the impact of parent’s awareness on the prophylaxis off l at-feet in children. Methods and materials: The survey was carried out in June 2016. The survey included 12 closed questions, directed towards exploring the awareness if the parents regarding the condition flat-feet, its diagnostics, prophylaxis and its impact on the general health of the children. In the research participated 59 parents of children between the age of 5 and 17. The gathered data were analyzed using the statistical software package IBM SPSS for Windows, v. 19.0. Results: The majority of the surveyed parents - 57,6% (n=34) haven’t taken their kid to the GP for a prophylactic examination. In 22% (n=13) of the examined children flat-feet have been found. According to 13,6%(n=8) of the parents that is very important for their child’s health, 6,8%(n=4) stated it’s relatively important and 1,7% (n=1) find it not important. The vast majority 89,8% of the respondents are interested in receiving more information, Conclusions: The parents claim that they’re familiar with the condition flat-feet, but when analyzing their responses in our survey, we can conclude that their knowledge should be broadened. Abstract : Dementia is a growing world-wide phenomenon, impacting more than six million people in the United States. Despite its high projected prevalence, it is a significantly under-represented phenomena, with estimates ranging from 15-25% of the general population. The effect of the aging of the population and significant increase in life expectancy has combined to catapult dementia into the range of one of most alarming healthcare problems. The SMART Memory Program is a cognitive intervention designed to help promote the reduction of mild cognitive impairment (MCI) and early-stage dementia. Although it has been found useful in all forms of dementia, it is particularly useful in amnestic-type MCI. A longitudinal study examined 356 clients (220 females, all amnestic-type MCI) across an approximate two-year span. Results revealed an improvement of approximately 3 MoCA points at the conclusion of a program session. Particular improvements were noted in delayed recall. These results were found to be particularly beneficial secondary to the advent of the Kirtan Kriya methodology.